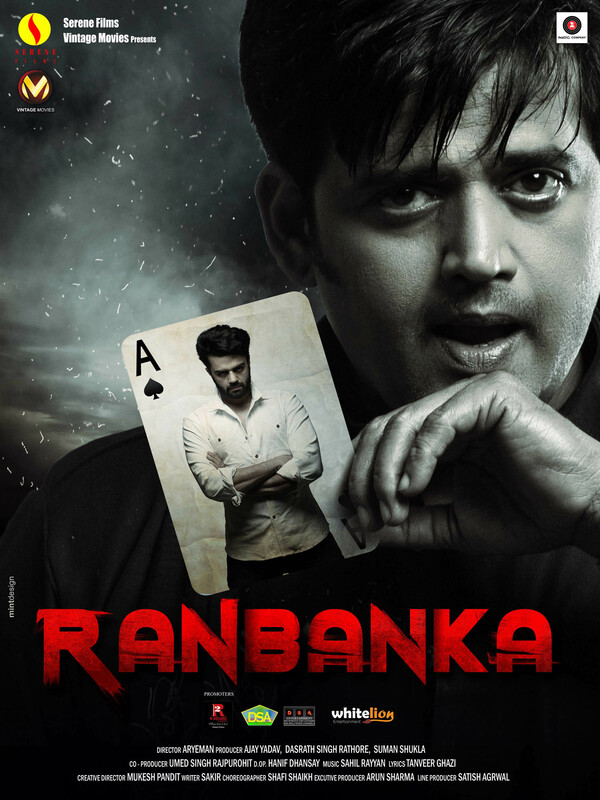 Ranbanka is a story of a common man Rahul played by Manish Paul whose work demands his family to move to Mathura. His family includes himself, wife played by Pooja Thakur and son. This decision changes their life completely. A local gangster and younger brother of a MLA, Raghav Singh played by well-known Ravi Kishan falls in love with the protagonist’s wife and wishes to marry her. How a common man is forced to adopt violence in order to protect his family when the system is not ready to support him in anyway. Ravi Kishen does a fantastic job and manages to hold the film on his shoulders. He is ruthless, violent and is apt for the role. However, he could have added some variances to his usual acting skills to shine out in this author-backed role. Manish Paul – He doesn’t deserve any mention about his work coz he has been unprofessional in his commitments. He hasn’t promoted the film which could have gained some mileage. Pooja Thakur – Scene stealer for sure. Raw talent with ethnic beauty, Pooja has done fantastic in the emotional scenes. Avinash Dwivedi as Kantu definitely stands out as the right hand of Raghav Singh. He has the animalistic appeal which will go a long way. Shakir Ali could have taken the film at a higher level. Somehow the screenplay is jerky in the initial stages of the film. First time director Aryeman manages to hold the audience attention throughout the film. Hats off to him for getting some brilliant performances from Pooja Thakur and Ravi Kishen. He has made an optimum use of the brilliant locations. The directorial touches are visible and overall the film has all the masala of a commercial film. With 6 films releasing this week, Ranbanka would get its share of audience only on word-of-mouth. It will do good business in the rural centers which have a Ravi Kishen fan following. This entry was posted in Trending News and tagged aryeman raj, Bollywood film review RANBANKA Rating 2 stars, Manish Paul- Rahul Sharma Ravi Kishen- Raghav Singh Pooja Thakur- Priya Sharma Rudra Kaushish- MLA Prakash Singh Avya Agarwal- Ayush Sharma Avinash Dwivedi- Kantu Prakash Soni- Mama ji Krishna Rana- B. ← Aman Verma turns over a new leaf on Bigg Boss Double Trouble!